All State Tree & Lawn Service Inc.
All State Tree & Lawn Service offers a wide range of lawn, tree and shrub care services for residential and commercial customers in the Royal Oak area. For over 25 years, we’ve performed evaluations, treatments and full programs to keep lawns in the Royal Oak as green as possible. You can count on our certified arborist and her staff members to provide your lawn, trees and shrubbery with the care they deserve. If you’re ready to get your shrubbery, tree and lawn care needs taken care of, call Royal Oak’s own All State Tree & Lawn Service right away. All State Tree & Lawn Service uses only the most environmentally-friendly products for completion of our services. You can trust our experienced and certified arborists and lawn care professionals to treat you and your lawn with care. Find out more about all of our services by visiting the other pages on this website or by calling us today at (248) 689-5750. 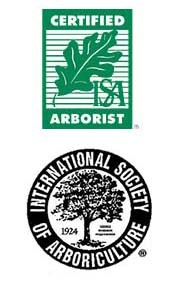 Let All State Tree Help You! Very professional over the phone, we met the next day. Was on time for the appointment. Decent price. I will definitely recommend this company to others. Very Happy I choose them, my lawn and tree's look great!!!! Excellent company with great friendly service!!! Our grounds have never looked better! Trimmed and shaped three burning bushes. They checked what we wanted and provided a quote in a timely manner. Very professional. Her crew showed up a little late, but I was home for other work so it worked out fine. They got right to work and cleaned everything up when they left. All in all a job well done. Copyright © 2019 All State Tree and Lawn Service, all rights reserved.